Raleigh's #1 Managed IT provider for a reason. Our Managed Services are here to support your business! 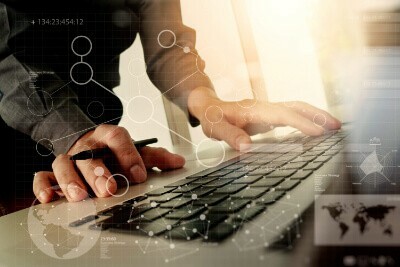 Our full-service managed IT Solutions allow you to focus on what matters most, without worrying about computers and servers. We provide Managed IT Services and IT Support Services that are economical and comprehensive. With our experience, we provide secure, scalable, and reliable IT Services and IT Consulting Services backed by our credentialed IT team. If you decide an MSP is right for you, determine what level of Managed IT Services you need, and what service provider can offer you the tools, services, and stability you need to take your business to the next level. If you need more help choosing an MSP, call us at 919.436.1600. Our team conducts an in-depth study of your current IT infrastructure and processes. That's right, unlimited support for solving computer problems. Your network is monitored 24 hours a day, real-time, every day, so we can detect problems before you’re even aware of them. Your anti-virus, malware, firewalls, updates, and patches are always current to keep you as secure as possible. We monitor and maintain your backups to ensure you’re protected. We help you make technology decisions and make sure your technology is aligned with your budget and business goals. Routine maintenance keeps your network and systems up and running, saving you money and time. What Managed IT Services Can We Help You With? Looking to Get More Out of Your IT? If your company wants to outsource any or all aspects of your information technology services to improve operational performance, then a Managed Service Provider, (MSP) can help you. IT Support, Consulting, and Experts within reach. A Managed IT Services provider remotely manages your network infrastructures. Some IT Service Providers will extend service offerings to provide you with application infrastructures as well as manage them for you. MSP’s have evolved in the marketplace to provide you with three primary levels of IT services. These MSP’s limit services to that of a management service provider. Pure Play MSP’s monitor your network and application performance without taking responsibility for your business operations. These are mid-level MSPs that offer you a range of services and take more responsibility for your business. Staffing-legacy MSP’s often offer software patches, installations, and upgrades as well as monitoring services. You choose High-level MSP’s when you would like to outsource your entire IT operations. High-level MSP’s can offer you lower levels of service similar to Staffing-legacy MSP’s. The choice of MSP level depends on your company needs and budget. What Benefits Do Managed Services Providers Offer? The full range of benefits of a Managed IT Provider for your company depends on the level of service you choose. Let’s discuss the benefits for you. I would choose a High-Level MSP, as they provide a range of services that encompass services offered by the lower-level service providers. By offering economies of scale and industrialization of service delivery, MSP’s can provide services at a lower cost to you as infrastructure and staffing overhead costs are spread across multiple clients. Just as companies have moved to lease real estate rather than purchase, the move to the cloud and managed services can reduce capital expenditures by shifting information technology costs to operating expenses, allowing you greater flexibility. MSP’s provide additional value from the implementation of best practices, standardization of processes and added automation allowing higher efficiency and tighter internal controls. MSP’s take responsibility from you for attracting and retaining skilled professionals, therefore saving you time, money and risks associated with talent acquisition. Increased service quality is the primary value MSP’s can offer you as the quality is backed by a contractual agreement. The service delivery is therefore consistently reliable and more cost-effective. MSP’s can provide improved security, business resilience, and compliance risk by offering proven processes and procedures as well as added infrastructure resources for critical systems and data recovery. MSP’s can more readily implement new technologies allowing for access to innovation and provide you increased business value. As well the MSP lowers your risk of new technology innovation by taking responsibility for startup investment, training, and implementation. MSP’s scale the scope, size, and range of services based on your business needs. This allows you to better align information technology resources with business requirements as well as a faster implementation of new resources. The MSP has data centers that will be available, resilient and redundant to help you maintain business continuity. Your data will be safe and voice services will continue in the event your main office is lost. MSP’s allow you to centralize all applications and servers within managed data centers, which provides improved performance and access to virtual services, as well as infrastructure for storage and backup. 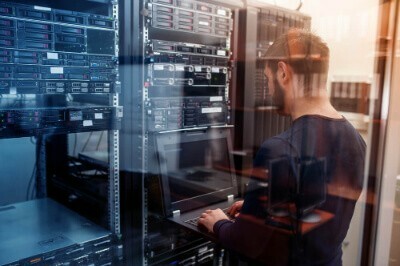 How Should I Choose a Managed IT Service Provider for My Company? Your decision to hire an MSP will have a huge strategic, operations and financial impact on your company. The process to make the decision should consider all these aspects. There are six areas to consider when researching which MSP is right for your company. When your provider isn’t responsive, your business can experience costly downtime that will harm client relations and ultimately affect your reputation. Your provider should provide information to you in a way you can understand in order to ensure proper decisions are made. The MSP should have the right processes and tools to effectively handle your specific needs. The MSP should have experience with similar companies. Ask the provider about their experience. How many companies have they partnered with? Who are their current clients? Have they worked with companies similar to yours? The MSP should have a good reputation in the industry. Ask for references from current and former clients. Can the MSP be a Trusted Advisor? Your MSP should be a trusted advisor for your information technology questions and concerns. Gather the necessary information from them to ensure they are a fit for your business. The decision to hire an MSP provider can have broad and long-term effects on your business. Your technology infrastructure and services are the life’s blood of your business. If you are going to be in Raleigh, North Carolina for a business trip or to visit family, you will likely be looking for things to do in your free time. The same goes if you are planning a vacation to this city. Let’s take a look at what’s going on in Raleigh and what you should know about! Raleigh is home to several historical sites. There are a few that are especially worth checking out. Historic Yates Mill County Park: This site educates its visitors on the history of Raleigh. At this specific park, there is an 18th-century water-powered gristmill. This is the park’s most recognized attractions, but there is plenty to see. They also offer tours! North Carolina State Capitol: This capital was built in 1840. It has since been renovated, but it still has some of its original features. It gives visitors a look at Raleigh’s history and is very educational! Mordecai Historic Park: The Mordecai House is located on the property of this park. The house is the oldest home in the city that hasn’t been moved. The outbuildings are also interesting to look at, and they offer a lot of historical information. You can’t go wrong with any of them though. There is much insight to gain from visiting each one! Each site will give you a unique experience and new information. If history is your thing, Raleigh is a nice place to learn more about it. You could also bring the kids along. This gives them an opportunity to learn while having fun! Each of these districts offers different environments and shops. It might be a good idea to visit all of them or to pick a couple of favorites! Go Downtown Raleigh offers lists of shopping, dining, and entertainment options. Raleigh has a variety of museums, which are designed for people of all interests. Some of them—like the North Carolina Museum of History—offer free admission. Museums are a great option for rainy or chilly days. North Carolina Museum of Natural Sciences: This museum features interactive science experiments and dioramas. It also has special, rotating exhibits, so there is always something new to see! They also have live animals on site. Marbles Kids Museum: If you’re traveling with children, it’s a good idea to stop by Marbles. This museum gives children of all ages a hands-on experience. The whole museum promotes creativity in young kids. There is a lot to do here! North Carolina Museum of Art: This museum is full of impressive art exhibits. Some of these are permanent and others are temporary. It’s free to enter, so you can stop by for just a little while or stay for the whole day. There is both modern art and historical art. Some of the artwork is cultural too! While there are not any beaches in Raleigh, there are a few that are nearby. The closest one—Wrightsville Beach—is about two hours away. According to USA Today, there are others too, like Carolina Beach, Kure Beach, and Atlantic Beach. It might not seem ideal to drive a couple of hours when there is plenty to do in Raleigh. A trip to the beach is never a bad idea though! The beaches mentioned are definitely worth the drive if you have some downtime. Over the next few years—according to Technical.ly—Raleigh should see a transformation in the technology field. This is because of the city’s growing population. The people who are moving to the city have higher education degrees. In addition, Raleigh has been providing more and more tech jobs in the past eight years. There is always something going on here. If you are interested in technology, be sure to visit one of the colleges in the area. There are also events, like the Tech Venture Conference, that can broaden your knowledge. Overall, there is plenty to do in Raleigh, North Carolina. The city is perfect for people of all interests. You can find something to keep you busy, no matter what you like doing. There are parks, museums, and more. You might want to relax on the beach one day too! It's not always about IT Services in Raleigh :) It's is a great place to explore. Be sure to add it to your list if you haven’t been here yet. Take in all the nature and history that you can while you’re visiting!